Eric Clifford Ambler OBE (28 June 1909 – 22 October 1998) was an influential English author of thrillers, in particular spy novels, who introduced a new realism to the genre. He also worked as a screenwriter. Ambler used the pseudonym Eliot Reed for books co-written with Charles Rodda. Ambler was born in London into a family of entertainers who ran a puppet show, with which he helped in his early years. Both parents also worked as music hall artists. He later studied engineering at the Northampton Polytechnic Institute in Islington (now City, University of London), and served a traineeship with an engineering company. However, his upbringing as an entertainer proved dominant and he soon moved to writing plays and other works. By the early 1930s he was a copywriter at an advertising agency in London. After resigning he moved to Paris, where he met and married Louise Crombie, an American fashion correspondent. At that time, Ambler was politically a staunch anti-Fascist and like many others tended to regard the Soviet Union as the only real counterweight to fascist aggression – which was reflected in the fact that some of his early books include Soviet agents depicted positively and as sympathetic characters, the undoubted allies of the protagonist. Like numerous like-minded people in different countries, Ambler was shocked and disillusioned by the Nazi-Soviet Pact of 1939. His post-war anti-Communist novel Judgment on Deltchev (1951), based on the Stalinist purge-trials in Eastern Europe, caused him to be reviled by many former Communist Party and other progressive associates. When World War II broke out, Ambler entered the army as a private soldier. He was commissioned into the Royal Artillery in 1941. He was soon reassigned to photographic units. He ended the war as a Lieutenant-Colonel and assistant director of the army film unit. After the war, he worked in the civilian film industry as a screenwriter, receiving an Academy Award nomination in 1953 for his work on the film The Cruel Sea, adapted from the novel by Nicholas Monsarrat. He did not resume writing under his own name until 1951, entering the second of the two distinct periods in his writing. Five of his six early works are regarded as classic thrillers. He created the 1960 American detective TV series Checkmate. Ambler divorced Crombie in 1958, marrying British-born film producer, screenwriter and longstanding right arm of Alfred and Alma Hitchcock, Joan Harrison the same year. The couple moved to Switzerland in 1969 and back to Britain 16 years later. Harrison died in 1994 in London. Ambler died in 1998. In 2008, his estate transferred all of Ambler's copyrights and other legal and commercial rights to Owatonna Media. Owatonna Media sold these copyrights on to Coolabi Plc in 2009, but retained a master licence in radio and audio rights. These rights are commercially licensed in the UK and abroad. Ambler's best known works are probably The Mask of Dimitrios (1939) (published in the US under the title A Coffin for Dimitrios), which was made into a film in 1944, and The Light of Day (1962), filmed in 1964 as Topkapi. He was also a successful screenwriter and lived in Los Angeles in his later years. Amongst other classic movies based on his work are Journey into Fear (1943), starring Joseph Cotten, and an original screenplay, The October Man (1947). He wrote the screenplay for A Night to Remember about the sinking of the Titanic, along with many other screenplays, particularly those concerning stories and adventures at sea. He published his autobiography in 1985, Here Lies Eric Ambler. In contrast to most other spy novels published before his, the protagonists in Ambler's novels are rarely professional spies, policemen or counter-intelligence operatives; they are usually amateurs who find themselves unwillingly in the company of hardened criminals, revolutionaries, or spies. The protagonist usually begins out of his depth, a bumbling anti-hero surprised to find himself facing extreme danger, who nonetheless eventually manages to surprise himself as well as the professionals by a decisive action that outwits his far more experienced opponents. This plot is used, for example, in Journey into Fear, Epitaph for a Spy, The Mask of Dimitrios, The Night-Comers/State of Siege, Passage of Arms, The Light of Day, Dirty Story, and Doctor Frigo. Numerous famous authors of international-thrillers acknowledge a debt to Ambler, including Graham Greene, John le Carré, and Julian Symons; also, Alfred Hitchcock and Frederick Forsyth. The Ability to Kill: and Other Pieces (1963). Published with a chapter on John Bodkin Adams removed because of libel concerns. To Catch A Spy (1964). An anthology of stories. Here Lies: An Autobiography (1985). Edgar Award for Best Critical/Biographical Work, 1987. "The Intrusions of Dr. Czissar". Six ingenious detective stories featuring Dr Jan Czissar, a refugee Czech detective formerly of the Prague police. "The Army of the Shadows". A suspense story about an English surgeon travelling in the Swiss Alps who becomes entangled in the intrigues of pre-war anti-Nazis. "The Blood Bargain". A suspense story about a Latin American dictator who cleverly gains his release from insurgents but then finds exile extremely dangerous. The Story so Far: Memories and Other Fictions (1993). Nine autobiographical stories covering different periods of Ambler's life. ^ a b c Pace, Eric (24 October 1998). 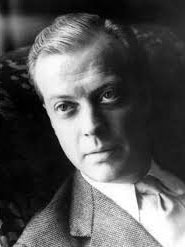 "Eric Ambler, Thriller Writer Who Elevated the Genre to Literature, Is Dead at 89". The New York Times. ^ Eric Ambler, Here Lies. ^ See, for example, his own introduction to the anthology To Catch a Spy. Ronald J. Ambrosetti: Eric Ambler. New York: Twayne Publ. u.a. 1994. (= Twayne's English authors series; 507) ISBN 0-8057-8369-5. Snyder, Robert Lance. "Eric Ambler's Revisionist Thrillers: Epitaph for a Spy, A Coffin for Dimitrios, and The Intercom Conspiracy." Papers on Language & Literature 45 (Summer 2009): 227-60. Snyder, Robert Lance. "'The Jungles of International Bureaucracy': Criminality and Detection in Eric Ambler's The Siege of the Villa Lipp." Connotations: A Journal for Critical Debate 20.2-3 (2010/2011): 272-88. Snyder, Robert Lance. The Art of Indirection in British Espionage Fiction: A Critical Study of Six Novelists. Jefferson, NC: McFarland, 2011. Snyder, Robert Lance. "Ethnography, Doubling, and Equivocal Narration in Eric Ambler's The Levanter." The CEA Critic 77.1 (2015): 58-70. Snyder, Robert Lance. "Transforming the Thriller: Narrative Deferral and 'Second-Wave Terrorism' in Eric Ambler's The Care of Time." South Atlantic Review 82.2 (2017): 136-53. (in German) Eric Ambler, edited by the Filmkritiker-Kooperative. München: Verlag Filmkritik 1982. (= Filmkritik; Jg. 26, 1982, H. 12 = Gesamtfolge; 312). (in German) Gerd Haffmans (ed. ): Über Eric Ambler. Zeugnisse von Alfred Hitchcock bis Helmut Heissenbüttel. Zürich: Diogenes 1989. (= Diogenes-TB; 20607) ISBN 3-257-20607-0.